The prices of a number of Apple products are lower in the official regional store covering China, with as much as six percent of the cost cut from some product lines. While it is unclear if the cuts are permanent, it is unusual as the reductions are made outside of a known sales period, as was the case of temporary cuts from earlier in 2019. For iPhones, the iPhone XR is down 4.6 percent to 6199 RMB ($923.60), reports CNBC, while the iPhone XS and iPhone XS Max are down 500 RMB ($74.50) each, starting as low as 8199 RMB ($1,221.58). 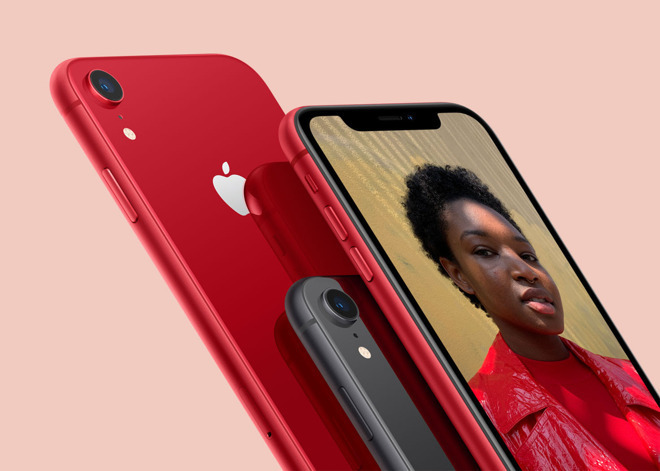 While considerable, the price cuts still put the iPhones at a higher cost per device compared to other markets, such as the US which lists the iPhone XR at $749 before tax. Customers who bought a product from Apple in the last 14 days under pre-reduction prices are eligible to receive a refund for the difference. It is unclear exactly why Apple altered the pricing of its products for the market, but regular adjustments are made by the company in relation to changes in currency and associated costs of importing goods to markets. It is thought the recent change to the value-added tax in China from 16 percent to 13 percent may account towards the adjustment. “Foreign exchange headwinds” and “economic weakness in some emerging markets” were cited as reasons behind the shortfall. Analysts, however, believe the high prices of iPhones in China are to blame, a situation made worse by the presence of considerably cheaper locally-produced rival devices. It is unclear if the latest price changes will do enough to help Apple recover its sales. Analysts recently determined interest in iPhone is waning in China despite the earlier sales cuts, while 37 out of 42 Apple suppliers recorded “worse than seasonal” sales in February.